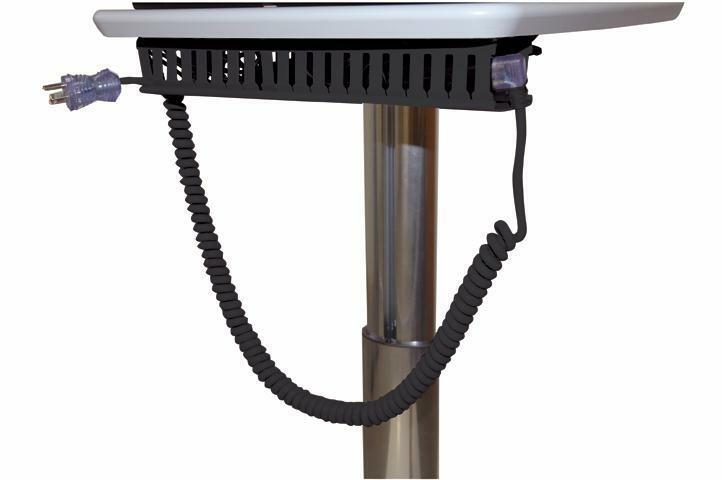 Cable Management Holder: CMH-PC | Altus, Inc. Organizing your workstation. Altus’ cable management holder stores underneath the back of the worksurface. Route and organized equipment wiring the way you’d like to. Enhance your workflow by reducing obstacles. Provide a safe working environment. Eliminate cords free hanging from the workstation where they can get caught and become problematic. Altus prides itself on providing you with tailor-made mobile IT workstations to fit you and your team's needs. Altus Non-Powered Carts. Altus re-establishes the standard of lightweight and ergonomic carts. Mobile technology workstations deliver point of care technology for clinicians in a simple and efficient way. We’ve studied clinicians’ needs and have designed innovative workstation solutions to enhance their productivity and workflow creating healthy work environments.